This got to be the most awesome stuff I have ever done in my life! 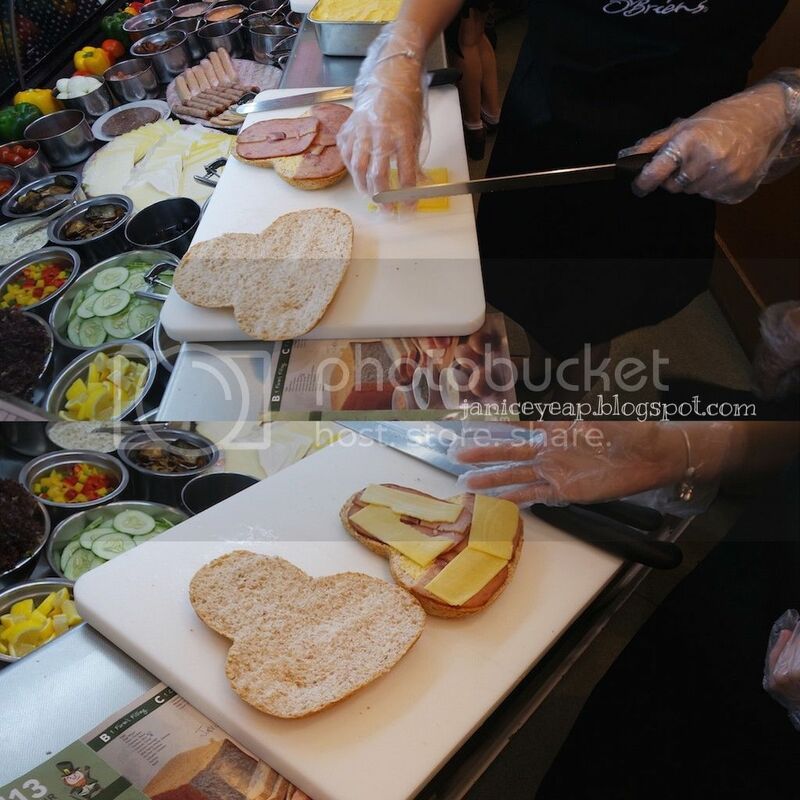 Can you believe that I actually made my own breakfast @ O'Briens Irish Sandwich Cafe, UOA Damansara II a week ago with a bunch of bloggers? It was definitely an honour to be part of the event. 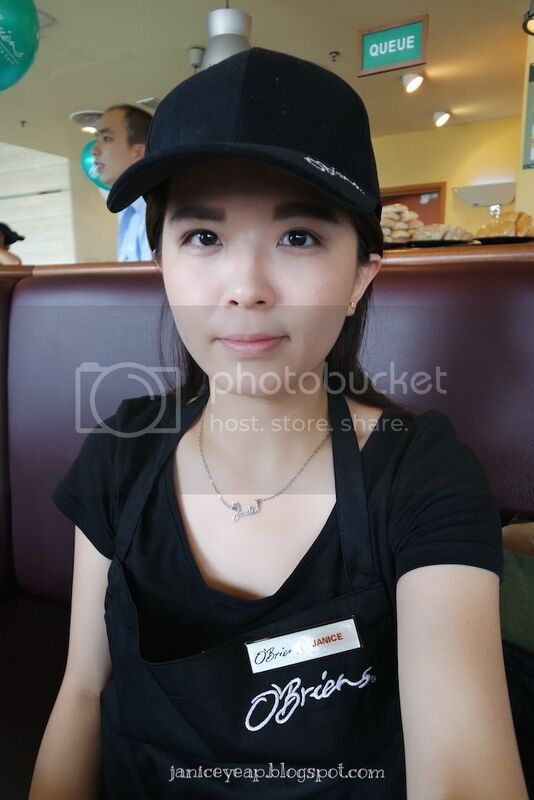 I was clad in O'Briens apron, cap and name tag on and it felt like as if I was working as part time staff in O'Briens on that day. 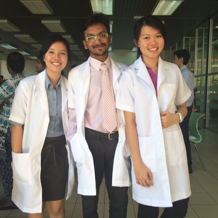 *wide grin* We were also welcomed with drinks and coffees served by O'Briens team at UOA Damansara II before the event started. O'Briens has been in Malaysia since 2002 and has grown from strength to strength, beginning with the 1st outlet in Great Eeastern Mall and growing to the current 21 outlets in the Klang Valley. 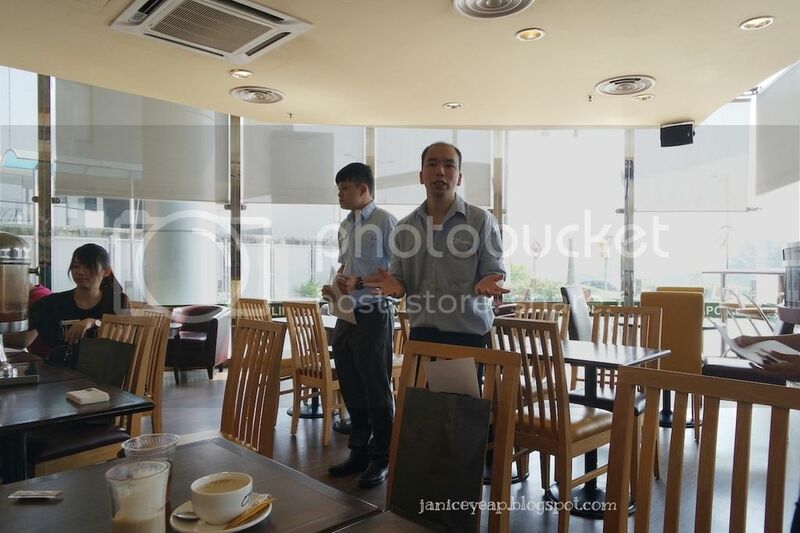 They also introduced their very own delivery service in the Klang Valley area in Malaysia so that the customers can enjoy a hearty and healthy meal not only in their outlets but even at home or at work. That's not all, they also provide catering services to any corporate and private function as well. You can call their hotline number (1300-30-3000) from 9 am to 9 pm or download the menu from the website to check out the latest promotions on their healthy meals. Mr William explained to us nicely on what are the ingredients and breads used to make sandwiches in O'Briens. There are so many types of bread and ingredients to choose from! 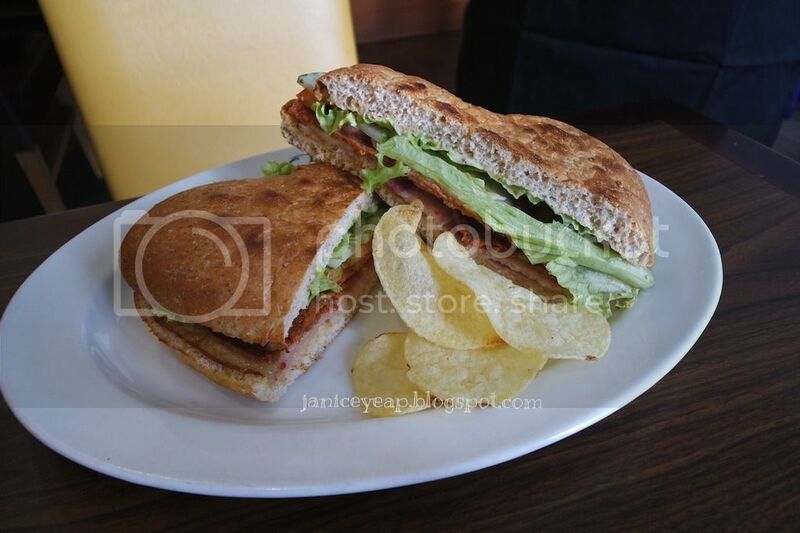 Their breads are baked with specially formulated Irish recipe. Unique to O'Briens, Shambo is a type of Focaccia bread baked in the shape of Shamrock. The Shamrock is the epitome of Ireland and represents good luck thus it is closely associate to O'Briens. O'Briens special blend are made out of 2 premium coffee beans, Arabica and Robusta, freshly grounded and brewed in the style of Italian master roster. Every sip you take is full of its exquisite aroma and rich taste. My first time encountering so many ingredients displayed behind the glass shelf. 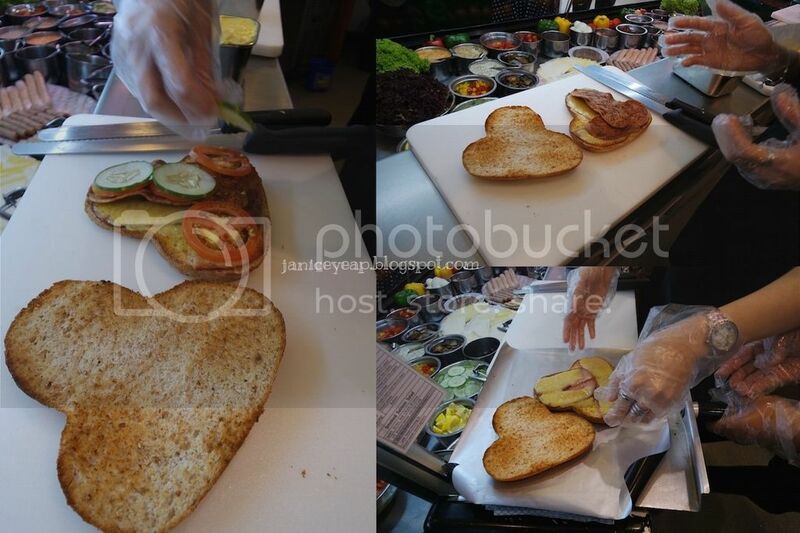 In conjunction with their 13th anniversary, they are having their 13th anniversary special whereby you get to create your own toastie from choosing your own bread, farm's filling, 1 cheese and 3 salads + 1 sauce for only RM 13. *jaw drop* That's really worth it! You will get to enjoy savings up to RM7.30! For your information the 13th anniversary special is only valid for September 2015 and the price stated is inclusive of GST. Back to the topic. We were given the opportunity to choose whatever ingredients, sauce and bread that we want for our breakfast on that day. 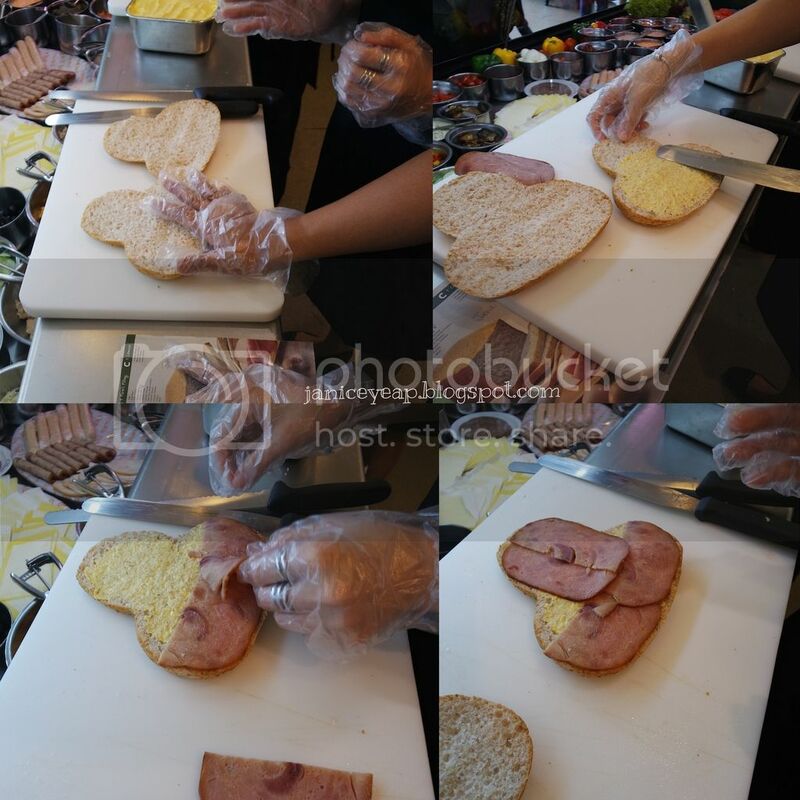 That's not all, we were also told to make our own sandwiches and of course we would be guided by the staffs there. Now let me show you how did I make my own sandwich alright? First, select your own bread and there are 7 types of bread to choose from. Wholemeal Shambo - our house specialty Shamrock shaped "Shambo" which represents "good luck"
After cutting the bread into two, scoop up a little bit of margarine and spread it evenly on one side of the bread. O'Briens sandwiches are prepared using premium ingredients such as chunky tuna in brine, smoked chicken slice and top-notch quality beed. They will not compromise using less than great ingredients as they believe that the customers deserve the finest and freshest. Next up is to choose 1 Farm's Filling from the 12 types displayed there. I picked Chicken Slice for my own sandwich. The staff asked me to take up 2 pieces of chicken slice and cut into two. I was told to arrange the chicken slice nicely to ensure the bread is covered nicely with the chicken slices. Spread some margarine on one side of the bread and arrange the chicken slice after that. Next up would be selecting 1 type of cheese from Cheddar Cheese, Mozzarella Cheese, Swiss Cheese and Cream Cheese. Since I like my bread to be toasted, I put my bread in the huge oven and baked it for 30 seconds before removing out from the oven. Mr William allowed us to have another 1 Farm's Filling and he recommended me to have Chicken Crisp instead of Egg Mayo because it will be a better combination. For your information, you can choose to have extra filling with additional charge of RM4.30. Later on, I had to select 3 salads and 1 sauce as the final step. I picked Tomato, Cucumber and Lollo Rosso for my sandwiches. There are 9 types of sauces to choose from Basil Pesto, Honey Mustard, Aran Island, Ballymaloe Relish, Caesar Dressing, Italian Dressing, Cranberry Relish, Guacamole and Houmous. Mr William also suggested to try Honey Mustard for the sauce as it goes well with the Chicken Slice and Chicken Crisp. 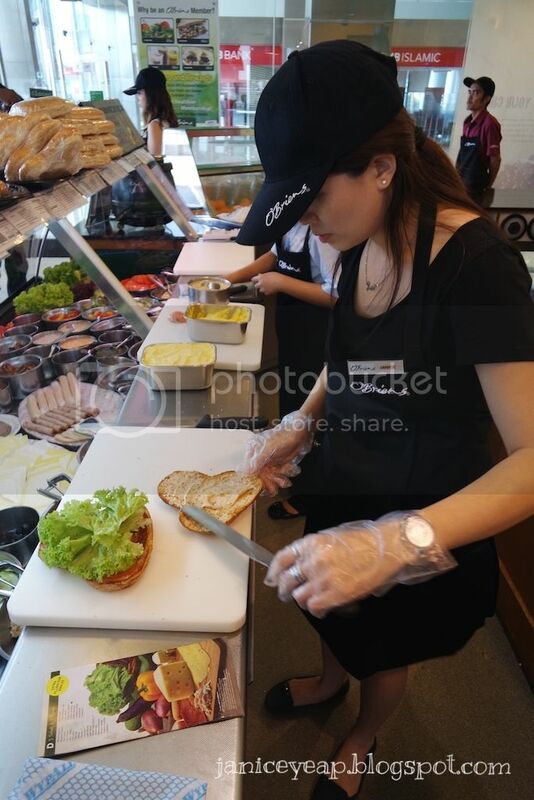 Honey Mustard has to be spread on the other side of the bread and placed it on top the salads before cutting. It was not easy to be cut with the knife since it was already toasted. I had to cut it fast to avoid the bread from damaging. To my surprise that the portion of the sandwiches was too big and thank god my plus one shared the sandwiches with me. The ingredients were fresh and at the top-notch quality. The combination of Chicken Slice and Chicken Crisp seriously tasted well along with the Honey Mustard sauce. Anyway, I used to hang out quite often in this cafe for lunch and tea time a few years back when I was working in the office near Empire Shopping Gallery, Subang. 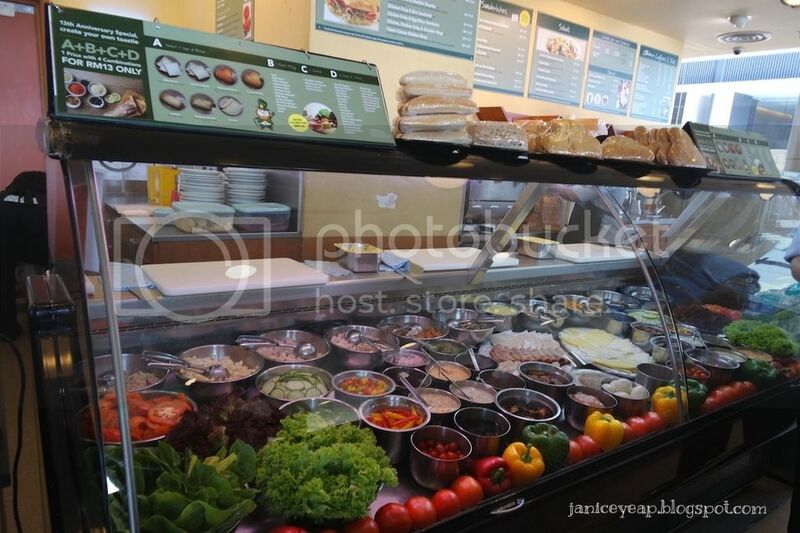 I always love their sandwiches as they are really fresh and healthy at the same time. Now that I am looking after my food intake strictly, I will definitely go for healthy meals. O'Briens sandwiches will be something that I would look forward to during lunch and dinner hour every day. 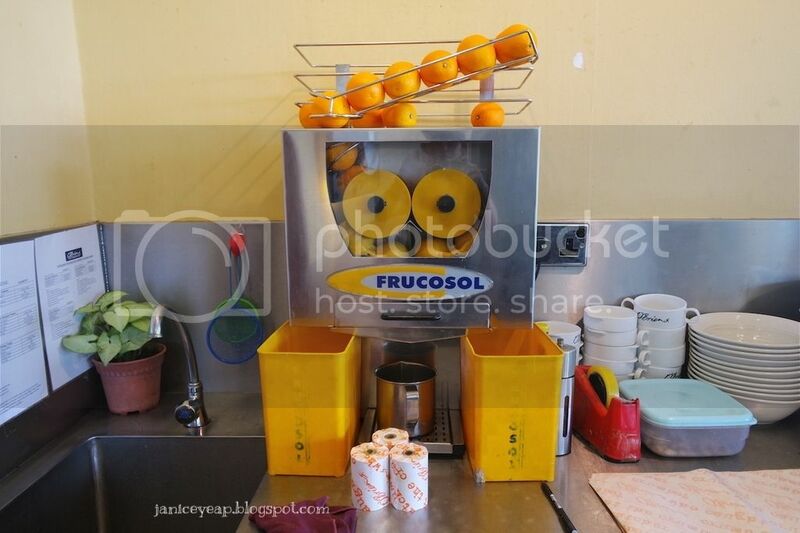 We were also given the opportunity to witness the demonstration of the special citrus juicer displayed in the cafe. 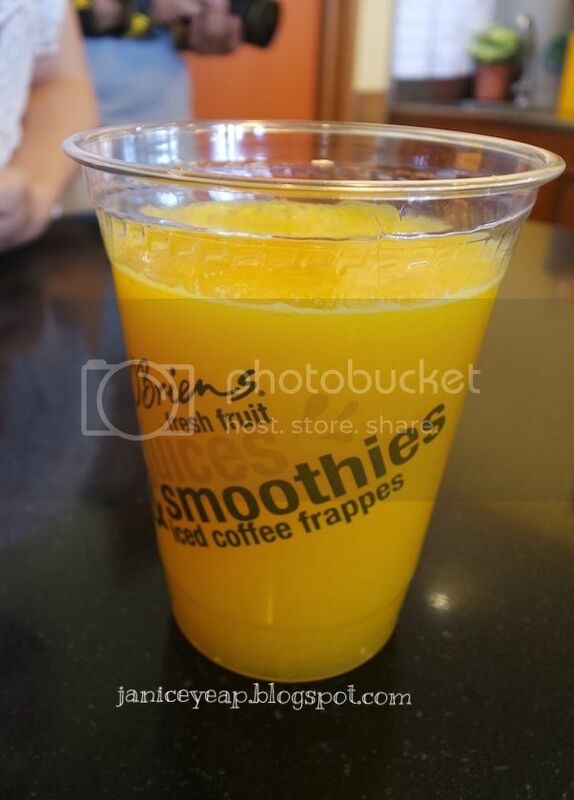 In O'Briens, all juices are packed with vitamins prepared on-the-spot upon ordering. This way, the goodness of fruits will not lost due to long hours of exposure. 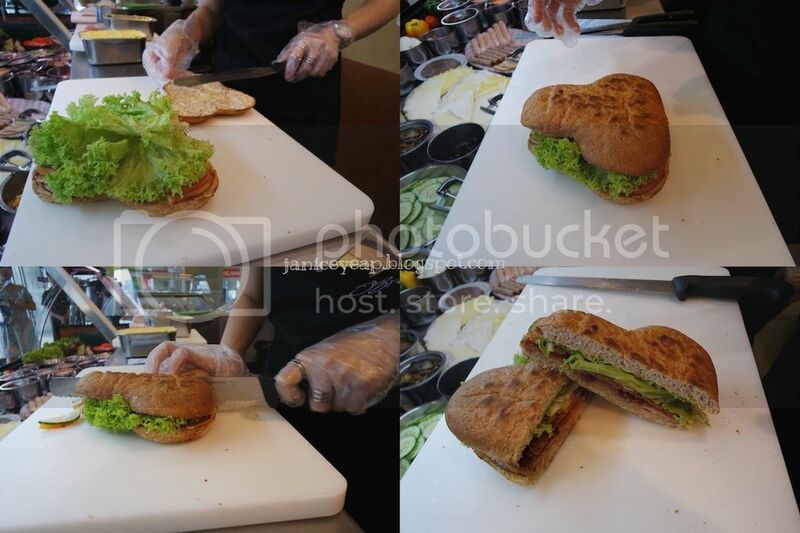 Here's a good news to all O'Briens sandwiches lover! On 16th Sept 2015, you will only have to pay RM10 to get the best-selling sandwich from Hot Chicken Ciabatta, Chicken Slice and Cheddar Toastie, Big Eat Shambo, Chicken Crisp and Egg Mayo on Multigrain Bread and Chicken, Chicken Crisp and Cheddar Wrap. There will be a special discount - RM2 off on the beverage and lucky draw with any purchase of RM13 and above with terms and conditions apply. Thank you O'Briens Malaysia for having me! For more information on the menu, please visit their website: www.obriens.com.my and Facebook page: https://www.facebook.com/obriensmalaysia.